Facebook has started trialling a new feature in the Messenger app called "Messenger Day". If you're familiar with Snapchat at all, your eyebrows will rise somewhat with how blatantly it copies one of Snapchat's most popular features- the Story. Essentially you can record a bit of video or take a picture, post it to Messenger Day, and anyone can view said media for 24 hours... or you can send it directly to people. It's certainly making the Messenger app look cluttered, but with incredible user growth at Snapchat, it seems Facebook is desperate to do what they can to stop people from jumping ship. The feature is very much like the Instagram (owned by Facebook) Stories feature that rolled out recently. Instagram openly admitted it was copying Snapchat. The move appears to be part of Facebook's reaction to data that showed people are preferring platforms like Snapchat to share content. If you have the feature give it a go and let us know what you think. Having no signal on the islands will soon be a thing of the past thanks to a team of people in Geraldton and local internet provider Node 1. The southern group of the Abrolhos Islands now have high speed wireless internet thanks to a number of Geraldton community members and the team at Node 1 Internet. The wifi signal is an extension of the existing high speed fixed wireless network that Node 1 has around Geraldton. The signal is beamed to the islands from the mainland at Geraldton. Initial measurements suggested it would not be possible to get the signal to the island, but due to a surprising natural phenomenon, the signal is able to travel across to the islands. A signal transmitter based on East Wallabi island in the north is currently being tested and hopefully will be fully operational soon. We spoke with Nick Van Namen from Node 1 about the new service for the islands. "Guys working on the installation had trouble with the boat, and were stranded. They couldn't get traditional phone coverage, but due to new recently installed free wifi they were able to make a Facebook call and get help." Over the last year or so I've noticed a proliferation of "share to win" competitions on Facebook. Everything Geraldton has run a number of "like to win" comps in the past, and they're a nice way for our audience to win a prize. BUT, it may interest you to know that it's actually against Facebook's terms to make "sharing" or tagging a friend a condition of entry. Business owners beware: if you post something with "Share this post to win" on your Facebook page, you actually risk Facebook shutting your entire page down. A page owner has no way of knowing who shared a post, unless the sharer has their privacy settings set to public. Recently a competition appeared in my Facebook news feed. I clicked and had a look, and the post had over 490 shares. But when I clicked on the "shares" link, I am only shown 83 names. So although 490 people think they've entered a competition, really only 83 people have a chance of winning. Most Facebook users have their privacy settings set to "friends". So when they share a post from a page, the page administrators cannot see their name. When they click the link to see who shared a post, Facebook only shows them the names of people who shared it publicly. When you enter a competition that asks you to "share", the page admin then checks the names of who shared the post, and picks a winner. The problem is, your name probably isn't even on the list, even though you shared it with all your friends. Unless you went and deliberately changed your privacy settings to "Public" (which most people do NOT want to do) your name isn't in the draw to win anything, despite you sharing the post. If people are following the terms of entry, but they're technically not in the running to win because the business cannot see the names of who shared the post, then not only has that business broken Facebook's terms, but there could be legal or ethical implications. It's like obtaining a raffle ticket but your entry never goes in the barrel, it goes in the bin. Running a competition in Western Australia is covered under the GAMING AND WAGERING COMMISSION ACT 1987, Section 104. Section 11 states: "Records relating to the lottery shall be maintained for a period of twelve months and shall be made available to an authorised officer of the Gaming and Wagering Commission or a Police Officer upon request." So not only does anyone who has been told they're in the draw HAVE TO BE ACTUALLY IN THE DRAW, but you have to be able to show the Police that this is the case, for the next 12 months. "Share to win" competitions on Facebook conflict with this section of the Act, because the method of entry is not consistently measurable by the business owner. Neither did we until a few years ago. But once it was explained it made a lot of sense. We still get a lot of businesses asking Everything Geraldton to run Facebook comps with "sharing" as a condition of entry, and while we acknowledge it's tempting because of the amazing reach those posts get, we don't think it's ethical, and it's a clear breach of Facebook's terms. We will still run "Like to enter" competitions on Facebook, which are quite popular with many of our followers. If you run a page, our advice is to make sure you never make "sharing" a condition of entry for a competition. "Like to win" is still ok. Or "visit our website and fill in this form", or whatever you can accurately measure. If whoever manages the social media for your business isn't aware of Facebook's terms, and the laws around Trade Promotions in WA, they could be getting your company into hot water. If you're just a Facebook user who sees these "share to win" competitions all the time, it's up to you if you want to spam your friends. But you'll need to change your privacy settings to public to even have a chance of winning, which means ANYONE, even people not logged into Facebook, can see your posts. But I've seen lots of organisations do this? So have we. We've seen government agencies do it, large media companies, social media professionals, and lots more. We haven't named or singled out any company in Geraldton doing this, because it's likely they simply didn't know how Facebook's sharing mechanism worked. Social media is still very new and confusing to a lot of us. In addition to the confusion, few of us read the terms and conditions when we sign up for anything, even a Facebook page. But we hope that once people understand how sharing and privacy settings work on Facebook, they'll realise "share" is not a suitable way to gather entrants for a competition. "Liking" on Facebook is perfect, though. Footnote: It may be argued that by "liking" the post as well, people have entered the competition, even if their "share" isn't visible to the page admin. The two arguments against this logic are that 1. it's still a breach of the ACT, and 2. people who "like and share" from a shared post on their friend's page will have their share appear on the original page's list, but NOT their LIKE. In a nutshell: Many people's names will only appear in the list of those who "shared" the post, not those who "liked" it. Footnote: Another new type of competition is the "Post on your page with this hashtag". While the rules around these are also ambiguous, it's worth noting that, again, unless the person posts with their privacy settings set to Public, their post will never be able to be seen by anyone other than their friends, and they won't be in the draw for anything. ANZ are warning customers of a scam text that is doing the rounds. Here's an example of what it looks like. There are two main types of scams like this that circulate by text. The first tries to get you to submit personal data for nefarious purposes. Be aware of this. The second is even more maliscious. This is where hackers can essentially take over your phone just by you clicking a link. It may not be obvious they have done this at first, but they can essentially control the camera, microphone, and see everything you do without your knowledge. If you are running an old version of Android or iOS (iPhone) your phone can sometimes be hacked with a simple text message. With one particular Android vulnerability, you don't even need to open the message. Unfortunatly for most Android users, security updates are few and far between. Unless your carrier issues a security update for your phone (which they rarely do) you're pretty vulnerable all of the time. You can root your device and install the latest version of Android yourself, if you don't mind spending a bit of time mucking around. Apple recently found and fixed a security vulnerability in their iPhone, so if you have the latest software then you're ok.
As a general rule though, don't click on links from unknown sources. And don't forward links you are unsure about. And keep your iPhone running the latest version of iOS. At 1am WA time Apple presented their new iPhone 7 to a live audience in California, and live streamed around the world. With smartphones now being our most used personal computers, the latest offerings from Apple are always watched with interest. Around half of the 40,000 weekly visitors to Everything Geraldton use iPhones or iPads to browse our website. Here's a rundown on some key features of the new iPhone 7, along with several other announcements Apple made at the event. The 7, and the 7 plus. The main differences other than size is the plus gets a much better camera. More on that later. Apple is also keeping the iPhone 6s and 6s Plus available, along with the iPhone SE. There's a new colour called Jet Black which is a high gloss black. The other colours are not high gloss. There's a new mat black, along with Gold, Rose Gold and Silver. They've added haptic feedback (they call it "taptic") to the home button. Might be a nice feature, but it's the kind of thing you'd need to try to see if it's useful. Based on many people's real world experience, it seems Apple quietly introduced this feature in the previous model (the 6s and 6s plus) without telling anyone, perhaps to test how effective their water proofing will be. But they're putting it on the box this time. So ideally those accidental toilet drops won't cost you a thousand bucks. What Apple has achieved with a tiny pocket camera is nothing short of remarkable. Image signal processor has twice the throughput of previous versions. While the above may sound rather technical, suffice to say it's notably better than the 6s, which was class leading. The new 7 plus gets all of the above, and something extra. It has two cameras. One is a normal wide angle lens. The other is a telephoto lens. This provides a couple of neat features. The first, and most obvious, is you can zoom in more when taking photos. Very handy. The other feature is the ability to take photos with something of a bokeh effect in a new mode called "portrait". Bokeh refers to the visual quality of the out of focus area behind a subject. Usually you need a high end camera to do this, but using the two cameras, and some neat software tricks that creates a digital depth map, Apple has achieved this feature on a smartphone. An image taken with the iPhone 7 plus, showing the bokeh effect when using "portrait" mode. To be clear, Apple executive Phil Schiller explicitly stated you should not throw out your DSLR. But, this camera certainly will be the best camera many people have ever owned. The software needed to drive the new feature doesn't appear to be ready yet though. Apple have said it will be released as an update for 7 plus users later in the year. The screen is 25% brighter than the last model, and has a wider colour gamut. Last year Apple introduced stereo speakers on its iPad Pro line. And I can tell you it's brilliant. Now they've brought stereo speakers to the iPhone. There's a speaker at the bottom, as usual, and one on the top. I doubt it will sound quite as good as the iPad Pro, as there's simply less space to work with in the iPhone. But for all that video watching we now do on our phones, it will be a useful improvement. This fact was either leaked by Apple deliberately a long time ago, or was simply the worst kept secret ever. Yes, Apple has removed the headphone jack completely from the iPhone. It will ship headphones in the box that use a lightning cable, as well as a free adaptor that allows you to continue to use your existing analogue jack headphones. "Lightning" is the name of Apple's proprietary charging and connection port on iPhone and iPad. They gave three reasons for their decision to remove the headphone jack, a technology that has been around for over 100 years now. 1. Apple thinks the lightning headphones are a better connector. 2. They're running out of space inside the phone for other technologies they want to include. 3. Apple's ultimate vision for how audio should work is wireless. I've been pondering this change for several months now. I often charge my phone while I have headphones plugged in. And I simply hate bluetooth headphones. They're usually too bulky to use lying on a pillow, and the pairing and un-pairing experience is horrible and unreliable. Quite simply, unless Apple did something completely new, I was not going to be a happy customer. But Apple exceeded my expectations with the new wireless Air Pods. The ear piece is the same style as Apple's ear pods, which I find to be the most comfortable of any in ear headphone on the market. And there are no cables. They look like they belong in the sci fi movie "Her". And they don't use the God-awful standard that is bluetooth. Apple promises they have a consistent and reliable connection and will only play when you're listening to them as they have sensors that detect when they're in your ear. You can access Siri with a simple double tap, and they detect when you're speaking. They seem very simple to connect, and the case they come in is a battery. They'll last 5 hours on a charge, or 24 hours combining the case/battery life. Apple-owned headphone company "Beats" is also coming out with a range of headphones that use Apple's proprietary pairing technology. All of a sudden Apple's purchase of Beats a couple of years ago makes a lot of sense. Again, Apple failed to have these ready for the iPhone launch. They're promising they'll have them later in the year. The AirPods will retail for $229. For the most part, tech specs are pretty meaningless. Real world bench testing is a far better way of knowing how fast your phone will actually be to use. Interestingly, the year old iPhone 6s is still faster than anything else on the market (except this new iPhone 7). Chip is called A10 fusion chip. 2 cores are high efficiency cores for longer battery life. Device switches between cores depending on usage. Battery life has improved somewhat from the last model. From the 6s to the 7, you'll expect an extra two hours of life. From the 6s Plus to the 7 plus you can expect an extra 1 hour. The base model phone starts at 32Gb of storage, instead of 16Gb. This will be a godsend for those of you who alway buy the cheapest model. Up from there is 128Gb, and 256Gb. It's worth noting the Jet Black only comes in 128Gb and 256Gb. Apple will keep available the previous models, iPhone 6s and 6s Plus, as well as the smaller iPhone SE, at lower prices. What else did Apple announce? Thanks Elliot Brown for this heads up. I started playing it with my kids yesterday. I think they'll enjoy it a lot. "Pokemon Go was just released, its like a virtual pokemon game which encourages people of all ages to walk around in real life and catch pokemon! Sort of like geocaching, might be a great thing to do over the school holidays for the kids with their parents." Get it on iPhone and Android. After almost two days of dead air in regional Western Australia, Nine has reached a deal with WIN and Prime to broadcast its channels Nine, GEM and GO. Geraldton MLA Ian Blayney is encouraging Geraldton students in Years 9 and 10 to consider taking part in the ConocoPhillips Science Experience. 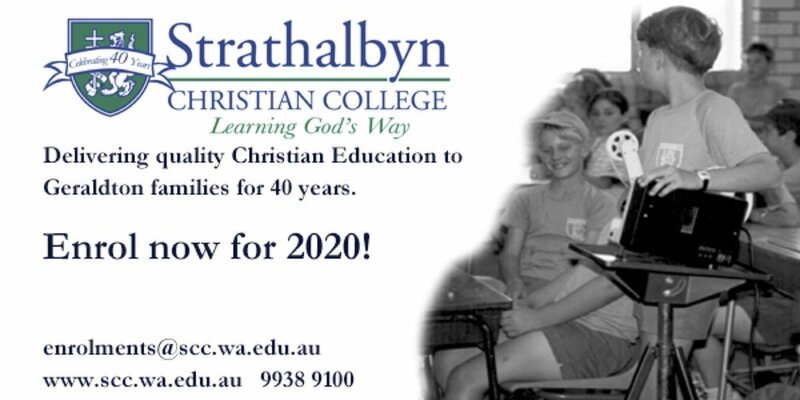 Mr Blayney is a sponsor of this program and two students from Geraldton Senior College will participate. 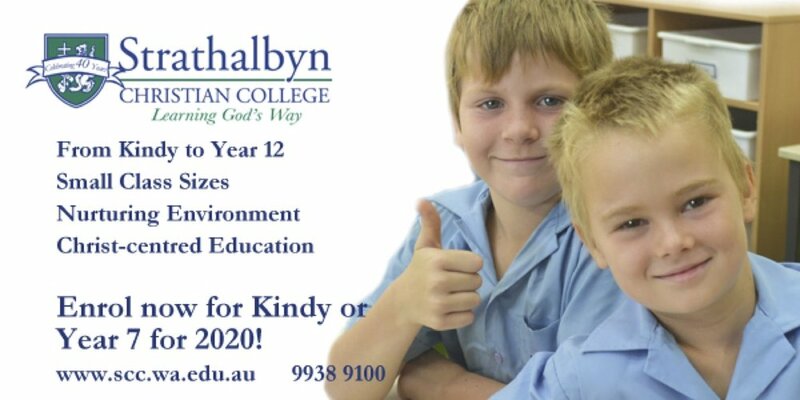 The program encourages students in Years 9 and 10 to consider science, engineering and technology as interesting, worthwhile subjects and careers choices. The programs are essentially for 3-4 days of hands-on science fun and practical activities in laboratories, short interactive lectures from prominent scientist and most programs include a visit to a local research/industry site. Each program provides information on possible careers and future study opportunities and allows students to become members of the Young Scientists of Australia, if they wish. 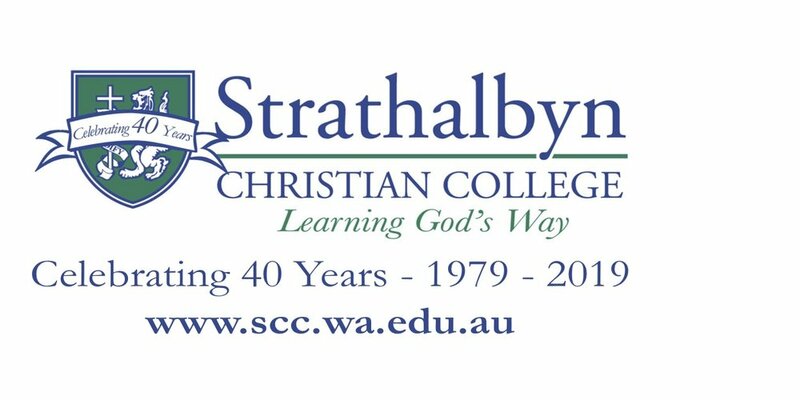 The registration fee for the 3 day program is $120 (inc GST) per student and the 4 day program is $160 (inc GST) per student. This program is also supported by Rotary through the Science Schools Foundation (Inc), which is an independent non-profit association of educationalists, Rotarians and industrials. I am really pleased to be able to support this program. From the conversations I've had lately, it seems many businesses in town are doing it tough right now. Unemployment is up, government spending is down, people are leaving town, and there's less money floating around. That being the case, it's more important that ever that your advertising efforts are fine tuned, and money isn't being wasted as you try to promote your business. With that as a backdrop, I thought I'd share a short list of things you can do to help better promote your business, community group, event, or not for profit, in the digital age. This poster probably looks great on a large screen, but is terrible on a small phone, which is what most people are using. We often get flyers and posters sent to us by advertisers who want to run the same thing they did in the paper on the Everything Geraldton website. But print is completely different to the online world. Your beautiful poster may look wonderful on the 27 inch iMac the graphic designer was using, but 70% of our readers are using mobile phones, and now your beautiful poster is impossible to read. Instead, provide the details in text format, and use a few relevant images separately to add life to your information. Most press releases we get sent go straight in the (digital) bin. Perhaps back in the print age they would have been useful newspaper filler content. But that's because newspapers had no way of knowing who was reading what, and they needed to fluff the paper out so people felt like they were getting their monies worth. And it explains why newspaper readership in Geraldton has plummeted over 30 percent in recent years. Everything Geraldton, on the other hand, sees exactly how many people read (or don't read) each article. We can see how long they spend on the page, and what device they're using. So we know people don't read boring press releases. How I file most press releases. While that public relations agency may have made a convincing argument for why you needed a professionally worded, long form, boring-as-hell, press release about the thing your organisation is doing, 99.9% of people just glazed over it as soon as they saw your headline. Instead of a headline from the 1990's like "Local business implements wonderful upgrade", try something like "Three amazing deserts you should try at Local Business". You could run something like that on Everything Geraldton for about a quarter of the price of a full page ad in the local paper, and reach about twice as many people. AND people would actually want to read it and share it with their friends. Instead of making your press release sound like it was written by a journo from 1992 who's never heard of the Internet, ask yourself "What would I want to read?" and go from there. 3. Take photos of yourself. You need to get the hell over the fact that you don't like seeing pictures of your own face. To understand marketing is to understand people, and you should recognise that people trust people... not your fancy logo, shop front, or new car. If I see a post in my Facebook feed with a human on it, I'm more likely to pause for a moment and look. If I see a business logo, I'm more likely to scroll by as quick as possible. The next time you place an ad on Everything Geraldton, instead of just a picture of the product, consider a photo of you or your staff. Three years of doing this has convinced me that people are interested in other people. Faces are interesting. Logos are boring. Everything Geraldton's most successful style of ads are the sponsored posts... articles that appear alongside other news, about your business or organisation. They're affordable and well read, and don't get glazed over like most other ads. I've been running Everything Geraldton for over three years now, and feel that I know what works and what doesn't. So if you want some ideas or help writing a sponsored post for your business, you are welcome to call me personally on 0404 443 442. Good luck, and all the best in business. Kids at Leaning Tree learn the art of filmmaking as part of the Scinapse’s SciFilms workshops. Budding filmmakers have their creations on YouTube after learning the art of filmmaking at Scinapse's SciFilm workshops on April 29 and 30. A group of students at Learning Tree school, and a group of adults at Pollinators’ CityHive, learned how to use their mobile devices to capture three-minute science-related stories, then edit them and prepare them for the big screen. The top 15 shortlisted films from across the state will be screened on cinemas as part of Inspiring Australia's SciFilms competition, run in partnership with Film Harvest. Audiences will then vote live for their favourite. Cash prizes will be presented for Judge's Choice and People's Choice. You can view their creations on YouTube at https://youtu.be/kJVcb7KKWhc. science story, and share that in a visually interesting way to others. She said the kids at Leaning Tree were particularly interested in learning the techniques of filmmaking using the simple story of washing hands. "We got some great feedback, especially from the kids who got right into the subject - they couldn't believe that 95 percent of people don't wash their hands properly," Ms Jackson said. Filmmakers can still submit three-minute films for the competition, with entries closing on July 22. For more information on the SciFilm competition, visit the website www.scifilm.com.au. A great short video from ABC Mid West, on Yellowtail Kingfish being bred in Geraldton. Midwest aquaculture trial harvest: Thousands of Yellow Tail Kingfish ready to hit the Australian market Fifteen thousand fat and healthy Yellow Tail Kingfish currently swim in Geraldton's Champion Bay waiting to be delivered to a local restaurant and markets in Brisbane, Sydney and Melbourne. Indian Ocean Fresh Australia have been working with the Mid West Development Commission to determine if it is commercially viable to farm fish in the pristine waters off Geraldton's coast. As I drove around Australia last month, one thing that struck me was how decent the 4G and 3G coverage was throughout our nation, with the exception of NT. It's been 10 years since I had done such a trip. That was before the iPhone existed and we all expected to have Facebook in our pockets 24/7. Mobile reception was notably poorer a decade ago. What really surprised me was how having a half decent internet connection as I travelled gave me a sense of connectedness... both to my friends and family, and to the wider world. I have come to rely on the Internet for everything from banking and shopping, to communications and information consumption, not to mention entertainment. There are so many beautiful, but remote parts of this massive island, but I found myself thinking "yeah I could live here" in many of them, in part because I didn't feel quite so distant from the rest of the world. BUT... Mobile internet costs are way too high to be used in large doses. Each Gig of data cost be an extra $10. Living in rural Australia would require a decent home internet connection, something most remote places have gone without... until now. 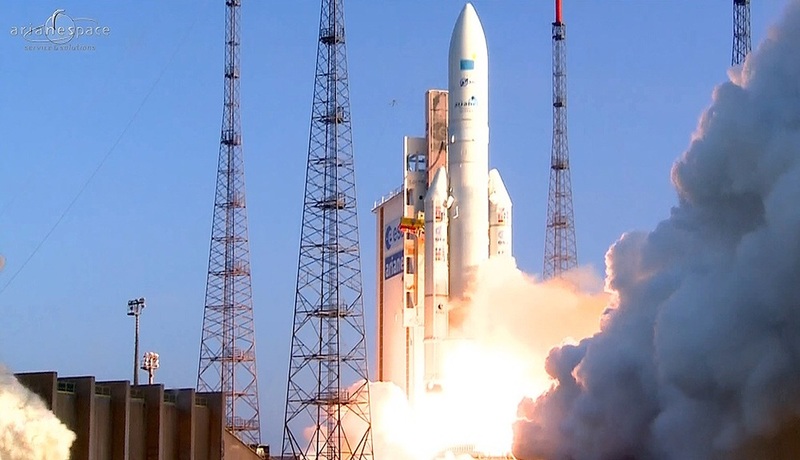 Enter the NBN satellite 'Sky Muster'. Finally, residents living in regional and rural Australia will be able to connect to affordable, high-speed broadband. Melissa Price, federal member for Durack, welcomed the official launch. “This is great news for people in Durack that will finally be able to access high speed internet,” Ms Price said. Offering download speeds of up to 25 Megabits per second (Mbps) and upload speeds of up to 5 Mbps, the Sky Muster service will provide a faster online experience for internet users living in regional and remote areas. To put those speeds in perspective, 25 Mbps is about a quarter of what you can get if you're on a fibre connection... but it's still 100 times faster than the speeds many people in the bush get. Many people who have access to a fibre connection only purchase a 25Mbps speed anyway. We shouldn't overstate the value of the service either. Not only are the speeds slower than fibre, but the amount of data you can download is a lot less. Equal priority will be given to new customers and current nbn Interim Satellite Service users migrating to Sky Muster. Around 5,000 users per month will be connected in the early months of the rollout before scaling up to 10,000 installations per month later this year. More than 600 installers have been fully trained and are forecast to reach on average one to two premises per day due to safety considerations and extended traveling times involved in each installation. An estimated 22,026 homes and businesses in Durack will be eligible to connect to the service as they are outside of nbn’s fixed line and fixed wireless coverage areas. For more information on eligibility and retailers visit: www.nbnco.com.au or freecall nbn on 1800 687 626. To give you some idea of the level of service and price, for around $150 per month, you can get about 60Gb of data to use during normal times, and another 8Gb to use during off peak times. This is still a far cry from the levels needed to compare to larger centres (I use about 1000Gb per month), but it will make doing most non video tasks quite bearable in rural areas. You won't be able to enjoy copious amounts of Netflix, iTunes movies, and YouTube though. Will people flock to the regions so they can have a notably poorer internet connection? Of course not. But will a half decent satellite connection be enough for many people who were considering a tree change? I believe it might be. The European Union has thrown its support behind what is to become the world's largest radio telescope, the Square Kilometre Array (SKA). This video was produced by Chris Lewis from ABC Open Midwest. It's a beautiful and fascinating look at what goes on under the surface with footage taken by local crayfisher Zack Mankelow. Set to a beautiful sound track, and with interview footage of Zack the video shows some absolutely stunning marine life. Keep an eye out for the very rare Sun Fish that Zack managed to video. Sometimes you see a news article in your Facebook news feed, and you want to express empathy. The story might be about a tragedy or crime. You don't quite feel like you have anything to add in the form of a comment, yet the traditional "Like" button just doesn't feel right. Facebook have been working on some options other than the "Like" button for some time, and they're finally rolling it out. You can now choose between 6 emotions to 'react' to a post; Like, Love, Haha, Wow, Sad and Angry. Notably absent is the much requested 'dislike' button. The reason behind this is that Facebook don't really want to give you a button to attack the poster, just different ways of empathising with the content posted. We posted a shared a story on a robbery that occurred recently in Geraldton. You may have seen the story, and wanted to express to Facebook that "I am glad this story is published and it's content makes me angry." You could press "like" so Facebook knows to show this post to more people, and that you want to see more posts like this. Some of us do that already, and 63 people hit the 'Like' button on this one. But judging from the comments and the even larger number of 'shares' this post invoked an emotion a lot closer to 'anger' in most readers. To choose a different 'reaction' just hover your mouse over the 'Like' button for a second, and the other choices will appear. On a touch screen device, hold down the like button and the other reactions will appear. The video below shows how it works. Facebook have said that as of now, everyone in the world will be able to access the 6 reactions. If it's not working for you yet, you may need to turn your phone off and back on. Looks like Telstra mobiles are down across the country for making phone calls. No ETA at this stage on when things will be fixed. 3G/4G seems fine so try facetiming if you need to make a call. The Apple Watch is great piece of technology for those on the go or the tech savvy users. It brings notifications, calls and emails directly to your wrist making sure you never miss that important communication. I love this nimble device it's great but is a piece of jewellery that's essentially an expensive add-on to your already pricey iPhone. I think the novelty of the device outweighs its flaws of daily charging and its inability to go underwater. The many watch faces and personalisation of the device enables you to make it your own and gives you the power to add your own personal background watch face. With Facebook messenger, emails and fitness trackers including a variety of games the Apple Watch is a great device if you can afford to buy it. Once the full version of Apple Pay comes to Australia (American Express Only) the watch will become a perfect all day use item giving the ability to wave your wrist near an EFTPOS machine, similar to PayWave on most credit cards. The entry level device starts with the Apple Watch Sport at $499.00, The Apple Watch starts at $799.00 and the high end Apple Watch Edition starts at $14,000 - yes I know that's expensive for a watch. If you want an Apple Watch you need an iPhone 5 or later model. The watch battery is great lasting a full day however you will need to charge it every night if you want it to last a full day. Watch bands add another level personalisation enabling you to make the watch your own with a band that suits you or the occasion. I ordered an watch with the Apple Store app and it arrived within the week to Geraldton, I was very surprised at the efficiency of delivery. What internet service providers are the best in Geraldton? As the excitement builds for the Stat Wars: Force Awakens movie, Google have hidden a fun themed search page. Type this in to a Google search engine: "A long time ago in a galaxy far far away"
Note: This seems to only work for desktop devices not mobile devices.